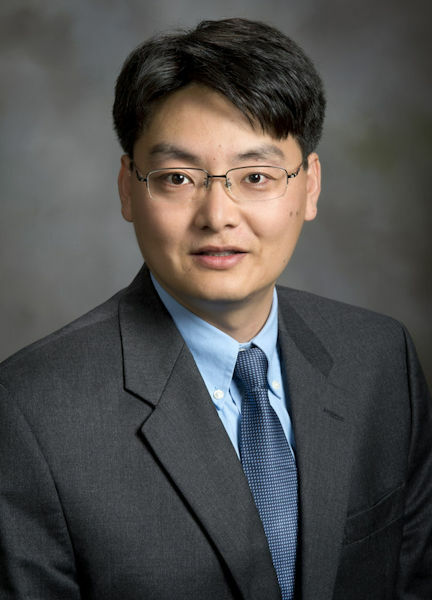 Zhen (Jason) He, takes on the role of new editor-in-chief of the Water Environment Federation (Alexandria, Va.) journal, Water Environment Research. Photo courtesy of He. The new year brings enhancements to the Water Environment Federation (WEF; Alexandria, Va.) research journal, Water Environment Research (WER). To adapt to the changing and dynamic landscape of scholarly work, WEF has selected John Wiley and Sons Inc. (Wiley; Hoboken, N.J.) to be its new publishing partner. The journal will transition to the Wiley Online Library platform in January. Published since 1928, WER is an international , multidisciplinary water resource management journal that spreads fundamental and applied research in all scientific and technical areas related to water quality and resource recovery. The goal for the journal is to foster communication and interdisciplinary research between water sciences, engineering, and other related fields. Peer-reviewed journals are critical to the conversation about water issues, but readers now access and share research in various formats. Joining with Wiley increases the reach of the journal through the Wiley Online Library, which is available through an app on any device. The January 2019 issue of WER will be available on the Wiley Online Library and, all WEF members may access the journal’s content at no charge. In addition to abstracts with practitioner points that briefly explain the practical applications of the research, the journal also will feature two types of new content. Full-scale case studies will showcase applied research and offer readers practical considerations for implementing technology. Perspectives articles will provide a forum for experienced, renowned researchers to discuss their views, opinions, and outlooks on selected topics. WEF will hold a workshop at WEFTEC 2019 to educate potential authors on ways to submit content, navigate the peer review process, and publish research. WER welcomes a new editor-in-chief, Zhen (Jason) He, and a new editorial team. He is a professor of civil and environmental engineering at Virginia Polytechnic Institute and State University (Blacksburg). Dongye (Don) Zhao, Auburn (Ala.) University.